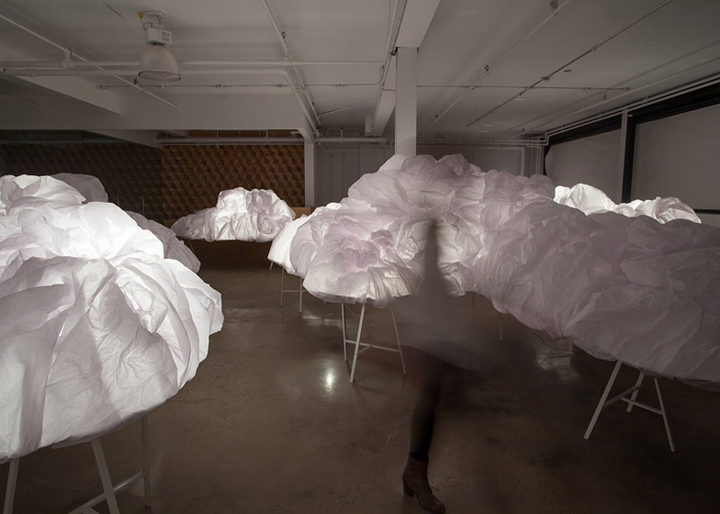 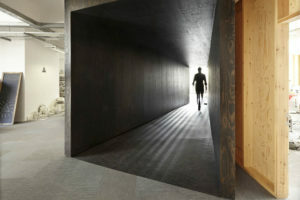 Canadian interior designers Mason Studio filled a warehouse with luminous clouds as a calming space amid the hustle and bustle of the Toronto Design Offsite Festival last month. 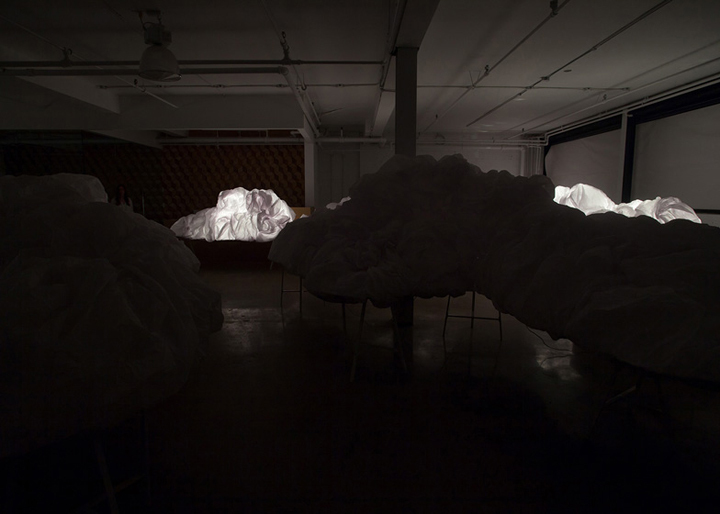 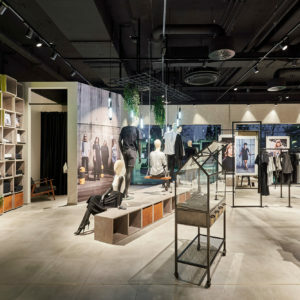 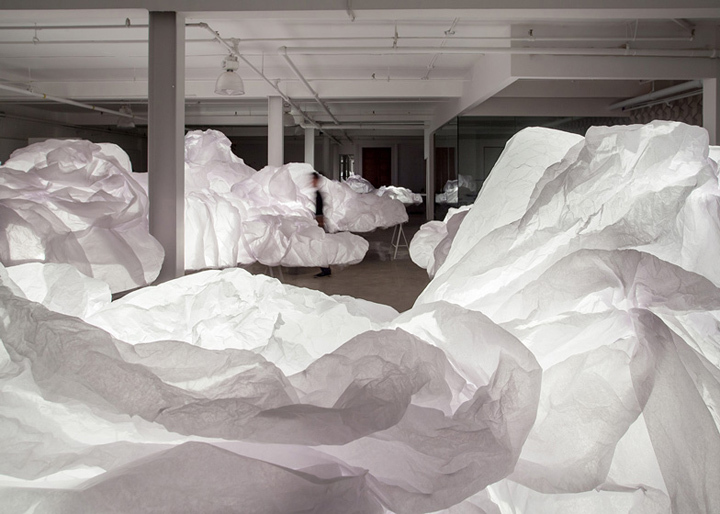 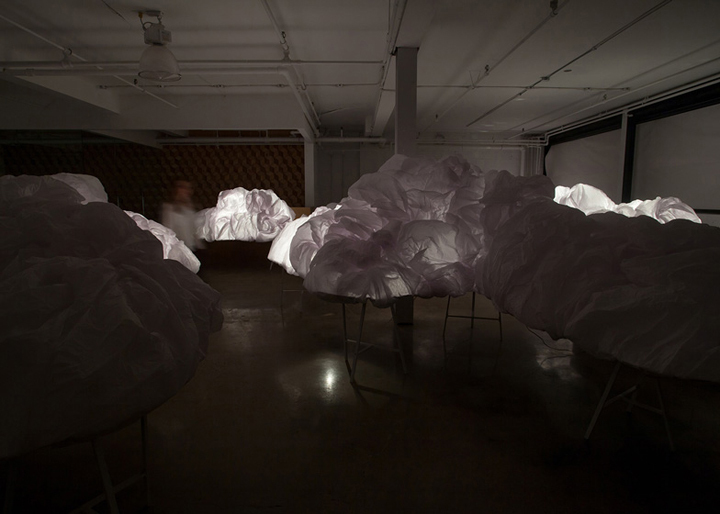 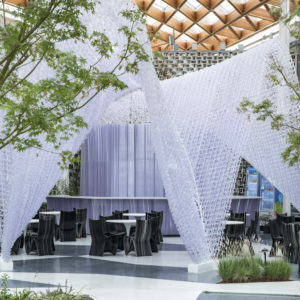 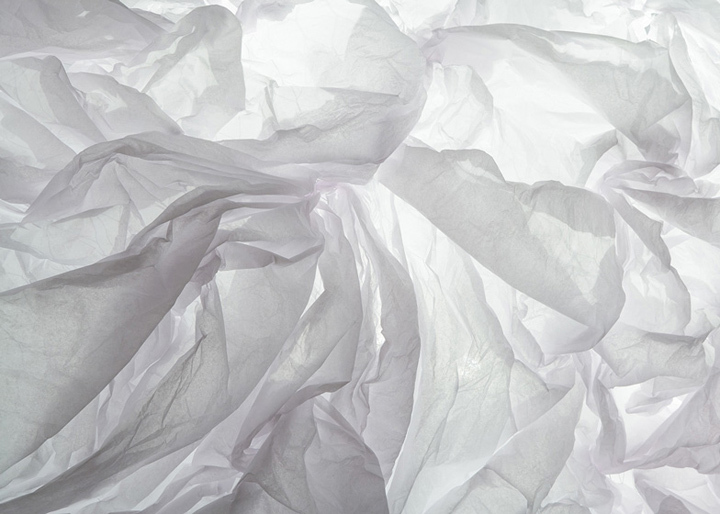 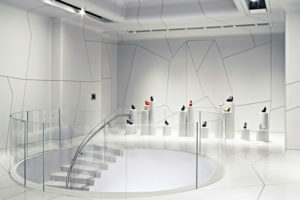 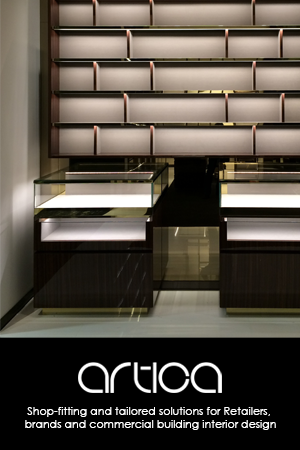 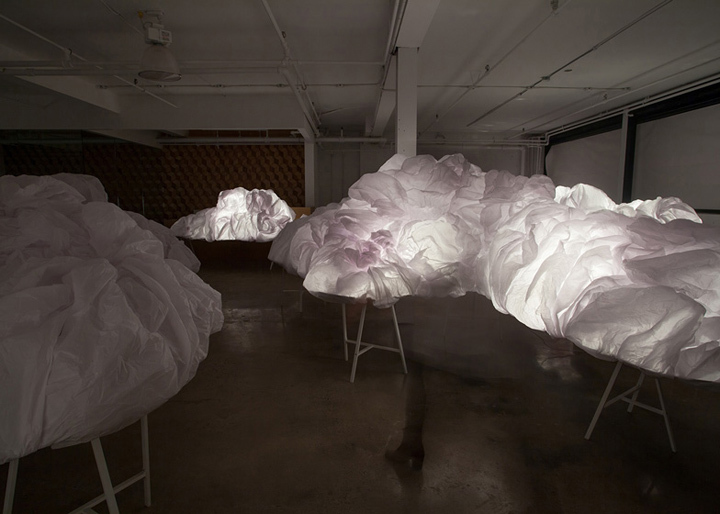 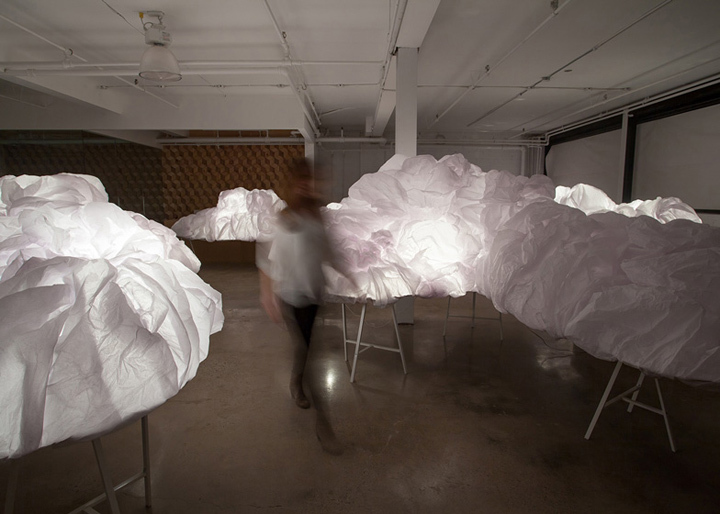 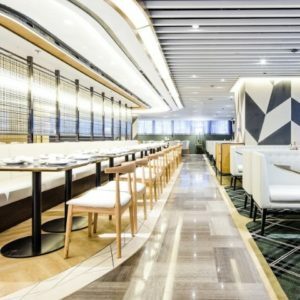 Behind layers of scrunched-up tissue paper, the installation was filled with motion-sensitive devices that triggered a system of concealed lighting. 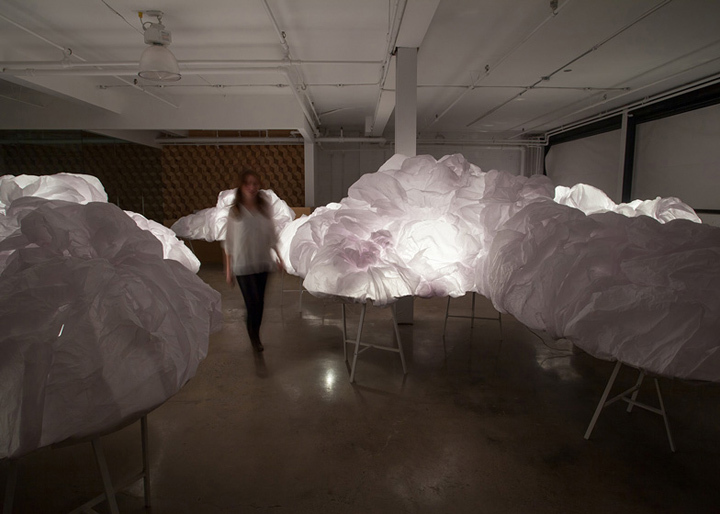 As visitors approached, each cloud would start to glow, but when that person walked away the lights would slowly die down. “The installation was an attempt to pull festival goers out of the commotion and noise that inevitably surround design festivals, to provide a space of tranquil and rest, if even for a fleeting moment,” explains Mason Studio. 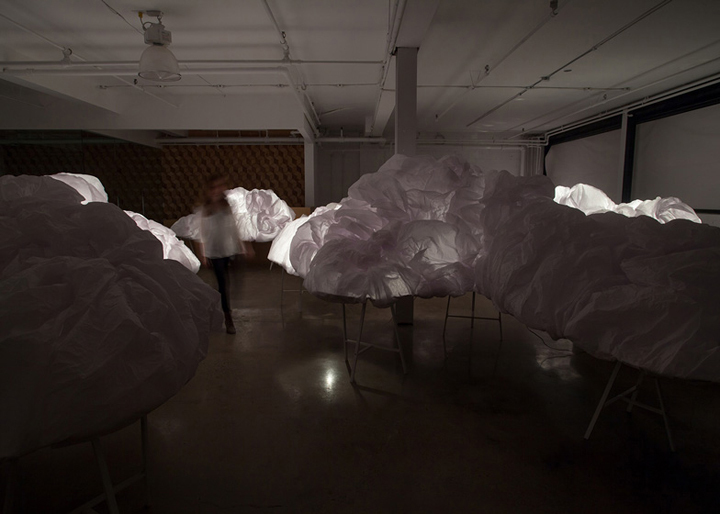 Gentle music accompanied the installation, helping to block out the noise from outside.